Following closely after the avant-garde Akram Khan’s Giselle, which returns to the Coliseum in September, this production by Mary Skeaping is thoroughly and unashamedly traditional. A staging as pure and faithful as this clearly demonstrates why Giselle has remained a timeless treasure of ballet repertoire the world over. Regular balletgoers will need no explanation of the scenario of Giselle. 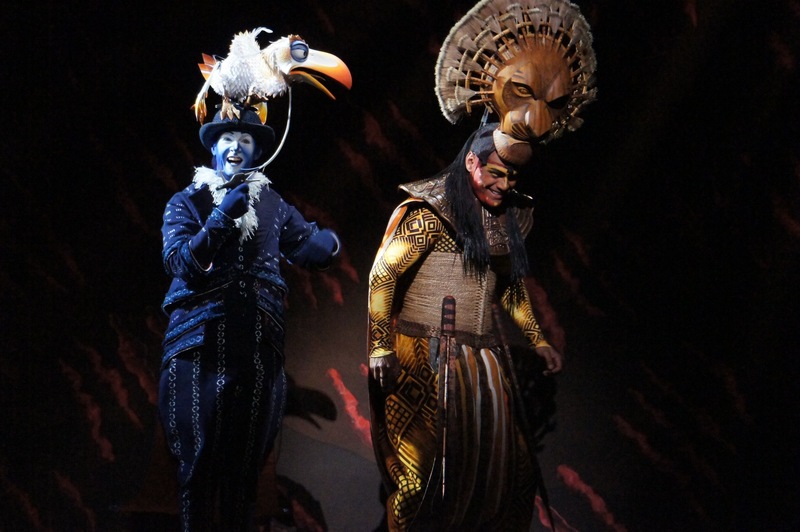 Even first time viewers will have no difficulty following the plot, given Skeaping’s frequent use of mime, particularly in act one. The occasion of the Harvest Festival and a royal visit coincide with Giselle’s discovery that her true love is actually a Duke in disguise, causing the fragile girl to dance herself to death. 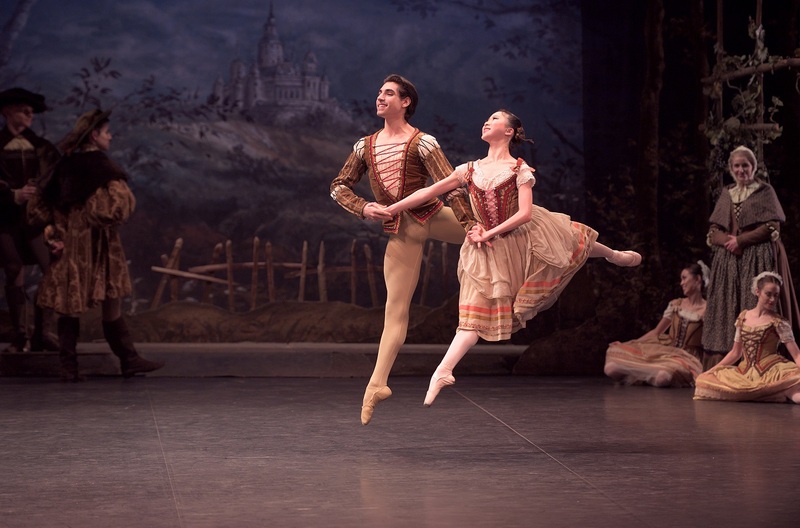 In the second half, Giselle nobly protects Albrecht from the ghostly Wilis, saving him from certain death. The production dates back to 1971, when English National Ballet was known as London Festival Ballet. Skeaping’s choreography actually dates back as far as 1953, when she drew on experience and significant research to create her version for The Royal Swedish Ballet. An example of choreography distinctive to this version comes in a set of visually thrilling sequences in act two, when gamekeepers accompanying Hilarion to the forest are surrounded and chased by scores of Wilis. The luxurious purple velvet curtain of the Coliseum opens on the warm autumnal glow of the clearing outside Giselle’s simple cottage. Designer David Walker paints an aesthetically pleasing stage picture, using a palette of close shades of brown and yellow for background and costumes alike. The prominence of the royal party in the story is indicated by the clear sight of the hilltop castle in the distance. The capacious stage provides room for thick towering trees and a pair of solidly built cottages, with abundant room for dance centre stage. Walker dresses the visiting royal party in richer autumnal tones. The Prince of Courland sports a black Tudor profile, with his daughter Bathilde looking splendid in an opulent brocade gown. David Mohr recreates the lighting, which is especially significant in the second act. The graveyard site begins in swirling mist, before slowly becoming clearer, as thin beams of light stream gently down between dense overhead branches. Under the highly experienced baton of conductor Gavin Sutherland, the English National Ballet Philharmonic gives an excellent performance of Adolphe Adam’s lovely score. The quality of the music complements the sterling work on stage, as well as being an attractive feature in its own right. Artists of the Company acquit themselves superbly in Giselle. Male and female corps de ballet dancers bring lively personality to the stage as the Harvest Festival progresses in act one. The female corps comes to the fore in act two, in which the dancers’ uniform precision creates any numbers of attractive formations as the Wilis do their worst. Moments when small groups of Wilis spookily and speedily float across the stage are performed to great effect. Principal Laurretta Summerscales brings a confidence and presence to Myrtha Queen of the Wilis, dancing with unflinching poise and gently commanding presence. As Myrtha’s assistants, Senri Kou (Zulma) and Crystal Costa (Moyna) project just enough character to stand out with distracting from the overall formations of Wilis. 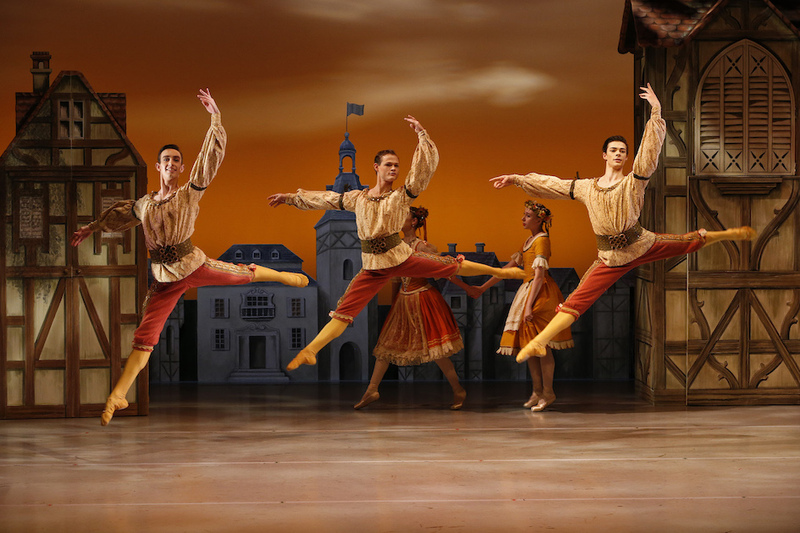 A truly lovely extended highlight in act one is the Peasant pas de deux. With much exposition having come before this sequence, Rina Kanehara and First Soloist Cesar Corrales raise the stakes in terms of dance, with delightful work that grows in excitement as the scene progresses. Character artist Jane Haworth brings a compassionate nature to Giselle’s anxious mother Berthe, making it clear that her prescient concerns derive from deep love and affection for her daughter. Soloist Fernando Bufalá performs the somewhat thankless role of Hilarion with sharp focus. While there is little or no chance for the character’s underlying love for Giselle to be expressed, Bufalá gives Hilarion a determined drive with just enough humanity that the audience feels sorry for him in death. The sight of a tall, dark and handsome man behaving so timidly endears Albrecht, danced by Lead Principal Isaac Hernández, to the audience immediately. His heart on his sleeve, Albrecht tentatively considers knocking at Giselle’s cottage, hoping for at least a sight of his beloved. Perhaps it was his character work, but Hernández himself seemed to begin somewhat tentatively on opening night. From the character’s second entrance, however, he performed with confident gusto at full strength, and did not look back for the rest of the evening. Hernández manages to be both sweetly romantic and authentically masculine, tempering the strength of his dancing with a fluid grace that presents real beauty. 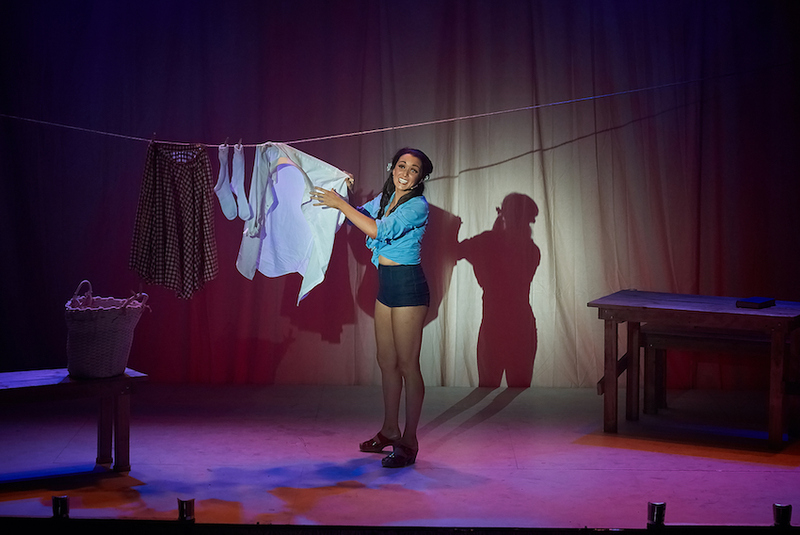 Hernández is favoured by the choreography, which gradually increases in spectacle over the evening, allowing him to continually rise to new heights and further impress the appreciative audience. One of the ballet world’s greatest Giselles, Lead Principal Alina Cojocaru made an auspicious role debut as the title role of Mary Skeaping’s Giselle on this occasion. Giselle’s petite fragility is enhanced by the fact that the dancers playing Albrecht, Berthe and Bathilde all tower over her. In a delightfully accomplished performance, Cojocaru does the work of at least two dancers across the ballet. Her act one Giselle is playfully girlishly and carefree, despite the looming threat of her weak heart. Cojocaru conveys Giselle’s delight at dallying with Albrecht and being elected harvest Queen with her full facial and physical expression. Cojocaru’s supreme control is seen in her unflinching performance of sequences of delicate, slow movement. Her death scene, though entirely inevitable, is still surprising due to the way Cojocaru transforms so instantly from vital girl to limp lifeless form. 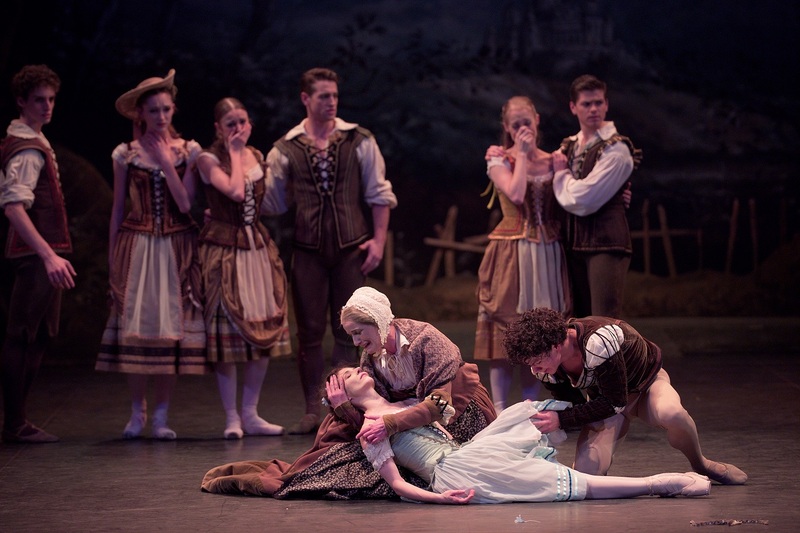 In act two, Cojocaru portrays Giselle’s desperate sorrow with a heavier, yet just as graceful, physicality. Giselle’s determination to save Albrecht drives the character to staunchly ward off a stage full of vengeful Wilis. Cojocaru’s exquisite performance here is the crowning glory in an already superb evening of beautiful dance. 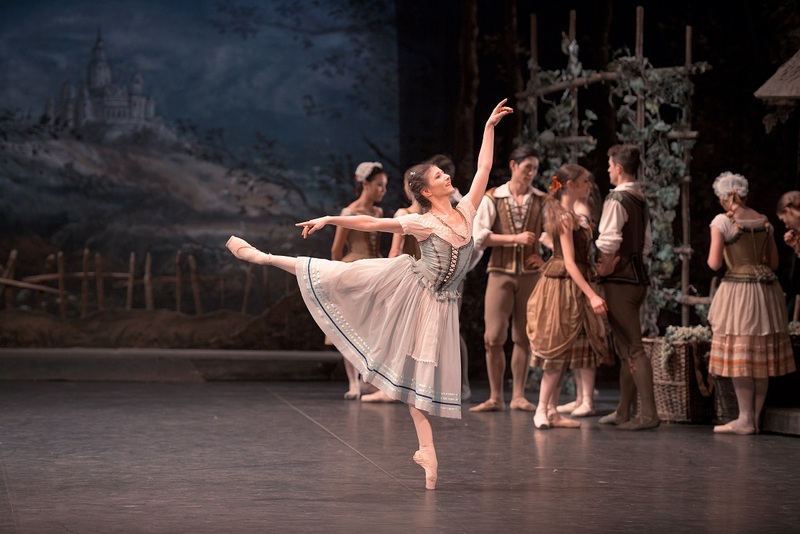 Giselle was reviewed on the opening night of the season, Wednesday 11 January 2017. Giselle plays at London Coliseum until 22 January 2017.